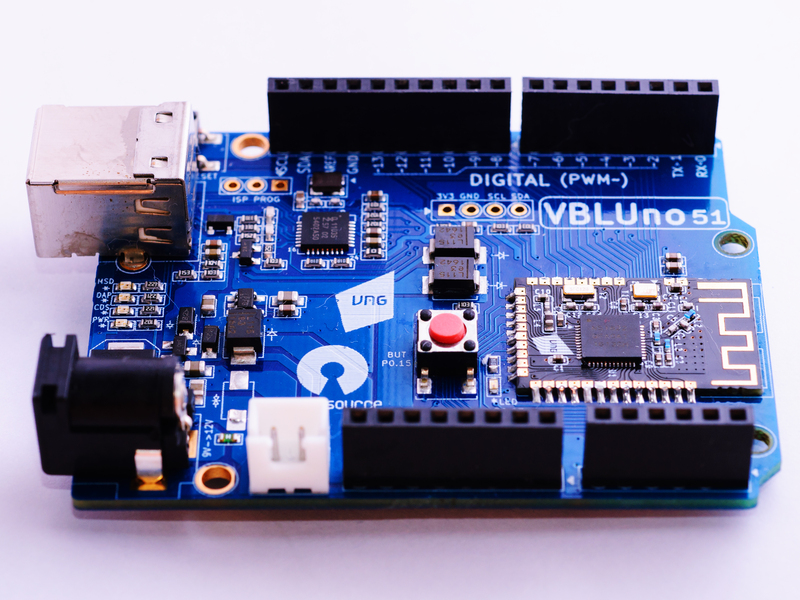 VBLUno51 board (VNG Bluetooth Low Energy UNO nRF51822) was created with the goal that VBLUno51 can help developers access easily Bluetooth Low Energy (BLE) technology and endless resources of Arduino, mbed-OS and other frameworks for developing applications for Internet of Things (IoT). 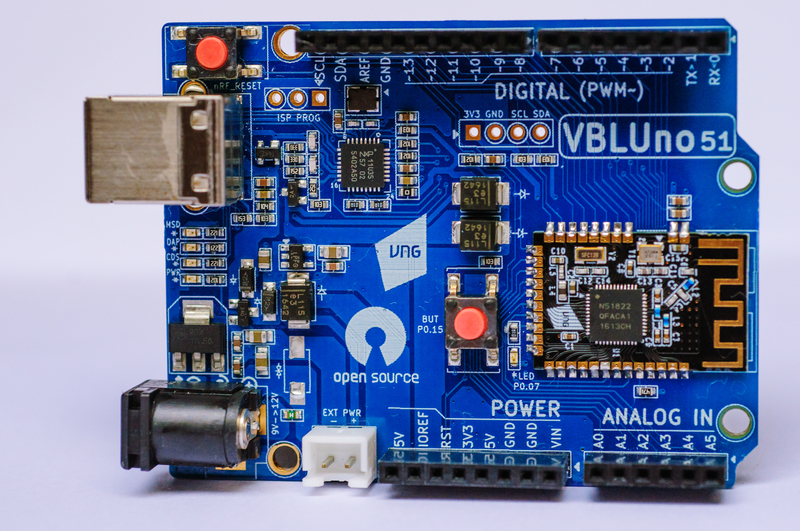 With the spirit of sharing and expecting the IoT community to access BLE technology more easy, VBLUno51 is published as an open source code, from hardware diagram, program source code example , source code bootloader, source code upload tool, documentation … You can reference and customize easily. 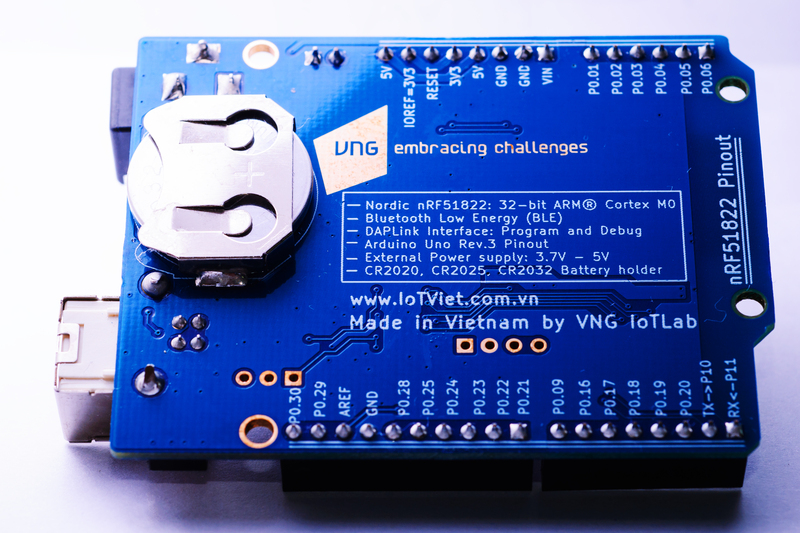 Through using VBLUno51 boards combined with Arduino IDE or mbed-OS, you can access easily build IoT applications with BLE technology, going to become owners of the terminal design in the IoT systems. GPIO Voltage: 0 – 3.3V. USB HID (DAP): CMSIS-DAP compilant debug channel. USB CDC: Virtual COM port for log, trace and terminal emulation. Supports hardware flow control features (RTS/CTS). Pinout: Arduino Uno Rev3 compilant. 12 External interrupt On every GPIO channel. 13 Flash program Drag and Drop programming flash memory. 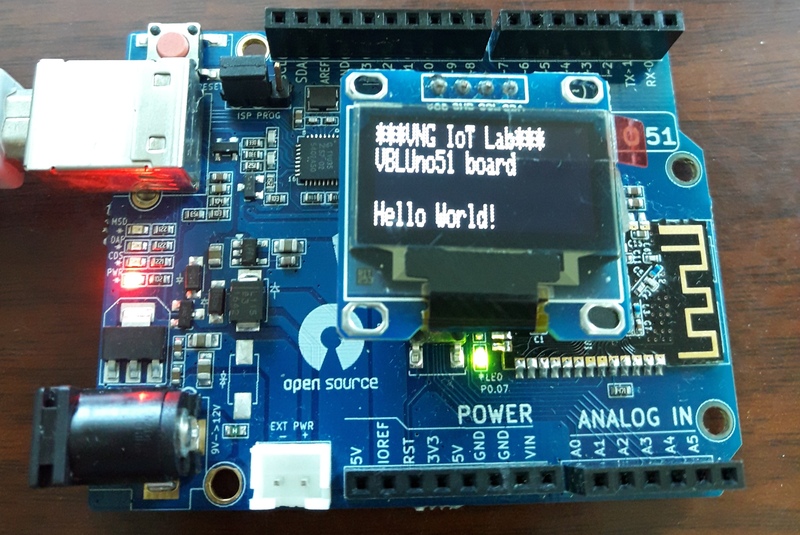 (Support auto programming when use Upload function on Arduino IDE. It work fine at 2400 to 115200 speed and more. Support Hardware flow control (RTS/CTS). 16 Power supply +3.7V -> +12V. (USB port, Power adapter, CR20xx battery, rechargeable battery).